Some voter ID laws in the U.S. are getting kicked to the sidelines because of their discriminatory effects. 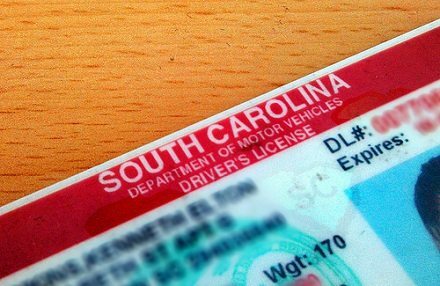 The federal courts blocked South Carolina’s 2011 voter ID law because of its racially discriminatory effect, and the author of that law has acknowledged responding positively to one fellow who encouraged him to enact the law by citing its impact on African-Americans. Florida’s voter ID law may be thrown out entirely. And last week, the federal courts rejected the Texas voter ID law for its “strict, unforgiving burdens on the poor.” Nonetheless, South Carolina is still pushing for federal approval of its voter ID law, and Florida’s law has already deterred many eligible voters from registering. Overall, 33 states have enacted voter ID laws and the state legislatures of 14 additional states are considering the idea. What widespread voter fraud is being challenged in states that require photo IDs such as South Dakota, Idaho, Kansas, and Hawaii? In Tennessee, with one of the strictest voter ID laws in the nation, there have been a total of only fourteen cases of voter fraud since 2000, and not one of them involved charges of voter impersonation, which is what photo ID requirements supposedly prevent. How many eligible citizens in Tennessee who should be able to vote will be turned away because of their lacking the necessary paperwork versus the number of instances of people trying to cast fraudulent votes? Groups such as Asian & Pacific Islander American Vote (APIAV) are trying to get constituents not only to register, but to gin up enthusiasm for the newly registered voters to get engaged in the political process. APIAV indicates that one of the obstacles is that the new voters are leery of the political process. With the multiplicity of confusing voter ID laws, some with pretty obvious intentions of limiting or shrinking the electorate, is it any surprise that people might be put off by politics? If you think about activities that have morphed into core functions for a broad swath of the nonprofit sector, voter registration ranks very high. The Constitution and various amendments describe how assorted classes of people cannot be denied the right to vote, but the determination of who can vote and how they can be registered to vote is left to the states. However, the mission of the entire nonprofit sector in the United States, we at NPQ believe, is small “d” democracy. There can be no more important element of that democratic mission than helping people who are eligible to vote to register and get to the polls. Whether focused on health care, human services, the arts, etc., any nonprofit can encourage its staff and volunteers to register and vote, provide information for its constituents and visitors about registering, and put a staff person or two at a registration table to help eligible people vote. But with the proliferation of voter ID laws, the democratic mission of the nonprofit sector gets more difficult daily. The practical challenges include keeping up with the changing laws in a couple of dozen states that have changed the rules, learning what the states are telling local election managers about eligibility and identification requirements, and helping the people most likely to be affected by the new rules—minorities and the poor—to obtain what they need, including, in some states, new voter ID cards. Making and implementing voter registration changes this close to the national presidential election is a guaranteed recipe for making a difficult process more than a little chaotic, and the closer we get to the election, it is likely that states will see spikes in requests for new voter IDs.